Many things about Aztec civilization amazed the Spanish Conquistadores, including their intensive, highly productive agricultural system of chinampas or ‘floating gardens’ (Picture 1), and the size and sophistication of their great city Tenochtitlan (Picture 2). 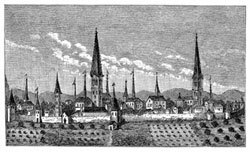 At a time in Europe when street cleaning was almost non-existent and people emptied their overflowing chamber pots into the streets as a matter of course, the Aztecs employed a thousand public service cleaners to sweep and water their streets daily, built public toilets in every neighbourhood, and transported human waste in canoes for use as fertilizer. While London was still drawing its drinking water from the polluted River Thames as late as 1854, the Aztecs supplied their capital city with fresh water from the nearby hill of Chapultepec by means of two aqueducts, the first built by Netzahualcóyotl between 1466 and 1478, the second some 20 years later by the ruler Ahuitzotl. The symbolic importance of water to the Aztecs is clear from their (metaphorical) word for ‘city’ - altepetl which means literally ‘water-mountain’ in Náhuatl. The aqueducts were described by Hernán Cortés in 1520: Along one of the causeways to this great city run two aqueducts made of mortar. Each one is two paces wide and some six feet deep, and along one of them a stream of very good fresh water, as wide as a man’s body, flows into the heart of the city and from this they all drink. The other, which is empty, is used when they wish to clean the first channel. Where the aqueducts cross the bridges, the water passes along some channels which are as wide as an ox; and so they serve the whole city. 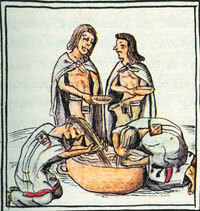 But probably nothing seemed more bizarre to the Spaniards than the Aztec attitude to personal hygiene. In a word, they valued cleanliness. 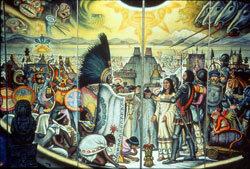 The conquistador Andres de Tapia reported, in a tone of wonder, that Montezuma bathed twice a day. 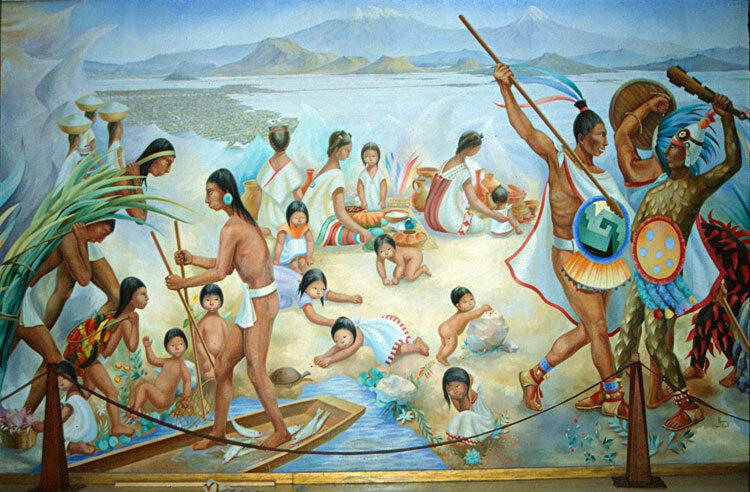 He did, but there was nothing extraordinary about that for an Aztec, since everybody, according to the Jesuit historian Francisco Javier Clavijero, ‘bathed often, and many of them every day’ in the rivers, lakes or pools. They lacked true soap but made up for it with the fruit of the copalxocotl, called the ‘soap-tree’ by the Spanish, and the sticky root of the xiuhamolli or soap-plant [Saponaria Americana]; both gave a lather rich enough to wash body and clothes. 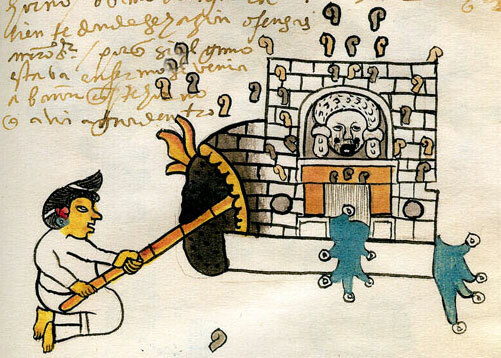 The encyclopedic Florentine Codex, written with Aztec informants shortly after the Conquest, includes a small illustration and description of the amolli soap plant (see Picture 4): It is long and narrow like reeds. It has a shoot; its flower is white. It is a cleanser. The large, the thick [roots] remove one’s hair, make one bald; the small, the slender ones are cleansers, a soap. They wash, they cleanse, they remove the filth. Their documents also make frequent mention of deodorants, breath fresheners and dentifrices. (Spaniards of the time cleaned their teeth with urine.) 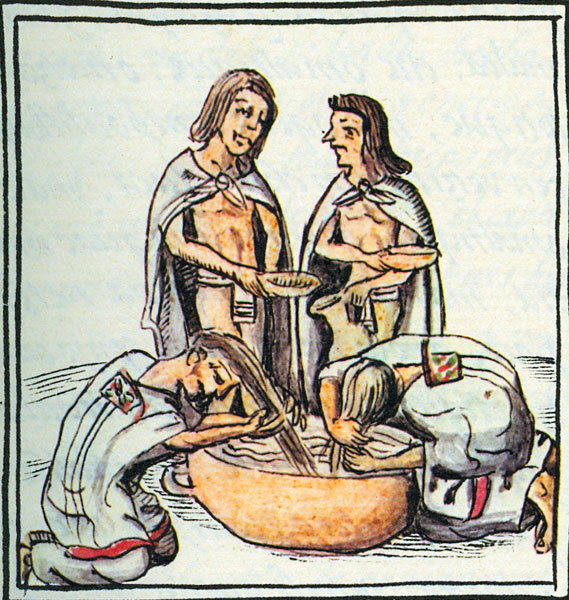 As well as bathing in lakes and rivers, the Aztecs cleaned themselves – often daily – in low sauna-like hot-houses. An external fire heated one of the walls to red-hot, and the bather threw water on the baking wall, creating steam. As in a traditional Russian steam bath, the bathers could speed up perspiration by thrashing themselves with twigs and grasses. 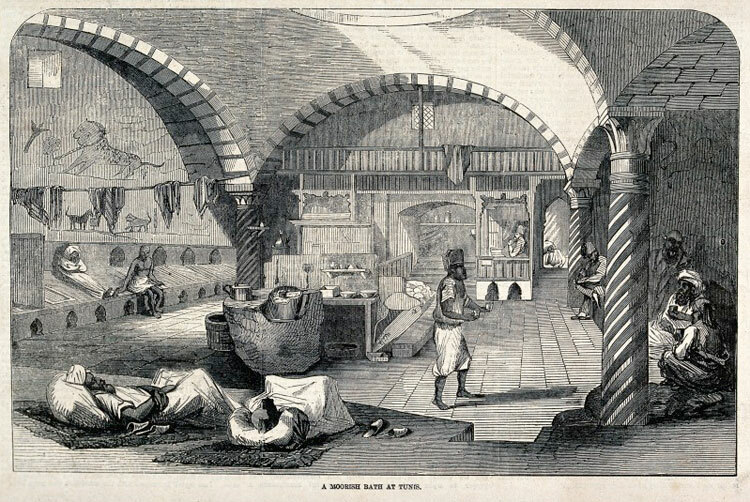 Almost every building had such a bath-house or temazcalli, used for medical treatments and ritual purifications as well as ordinary grooming (Picture 6). [In the morning] wash your face, wash your hands, clean your mouth... Listen to me, child: never make up your face nor paint it; never put red on your mouth to look beautiful. Make-up and paint are things that light women use - shameless creatures. If you want your husband to love you, dress well, wash yourself and wash your clothes. Into this hygienically enlightened place thundered the Spaniards. 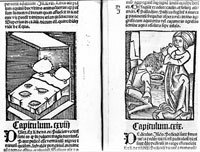 The 16th century was one of the dirtiest periods in European history, and on top of that, the Spaniards had their own unique distrust of cleanliness. Europe in general had gone from a culture where people enjoyed a regular trip to the town or neighbourhood bath-house to a culture that shunned water as dangerous. 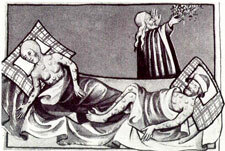 The catalyst was the Black Death of 1347, a plague that would ultimately kill at least one out of every three Europeans. 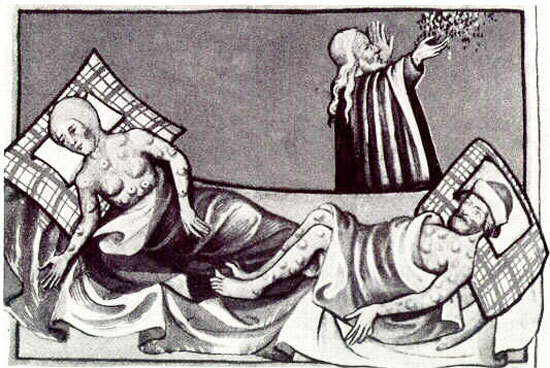 When Philippe VI of France asked the medical faculty of the University of Paris to pronounce on this terrifying occurrence in 1348, they wrote that hot baths, which created openings in the skin, allowed disease to enter the body. 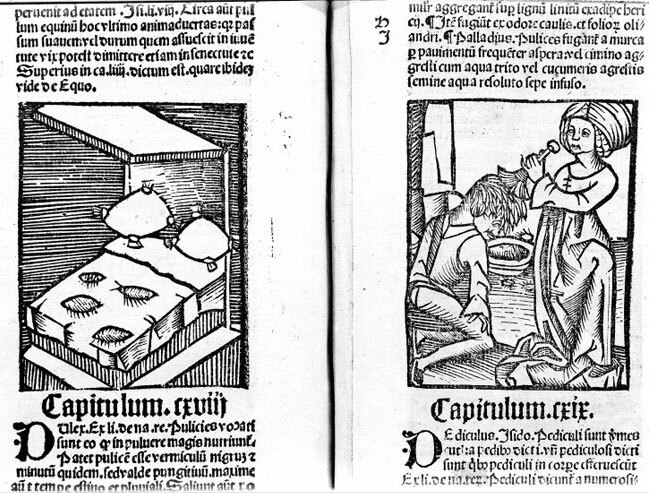 Bath-houses all over Europe were closed and for four or five hundred years people avoided water as much as possible. For those who wanted to think of themselves as clean, a fresh linen shirt for a man and a fresh chemise for a woman was considered safer and even more effective than water. Louis XIV of France only bathed twice in a long, athletic life but he was regarded as unusually ‘clean’ because he changed his linen shirt twice a day. Arab Spain sparkled with water, whether in fountains, pools or hundreds of bath-houses. Christians in the north of Spain, not under Arab rule, continued to revel in their squalor, washing ‘neither their bodies nor their clothes which they only remove when they fall into pieces,’ according to a contemporary observer. The more their Arab conquerors washed, the more suspicious, decadent and un-Christian the practice seemed to the Spaniards, and their dislike endured long after the Arabs had left. The mendicant Spanish monks, according to their practice of setting up a directly antagonistic principle [to the Arabs], considered physical dirt as the test of moral purity and true faith; and by dining and sleeping from year’s end to year’s end in the same unchanged woolen frock, arrived at the height of their ambition, according to their view of the odor of sanctity, the olor de santidad. This was a euphemism for ‘foul smell,’ but it came to represent Christian godliness, and many of the saints are pictured sitting in their own excrement. 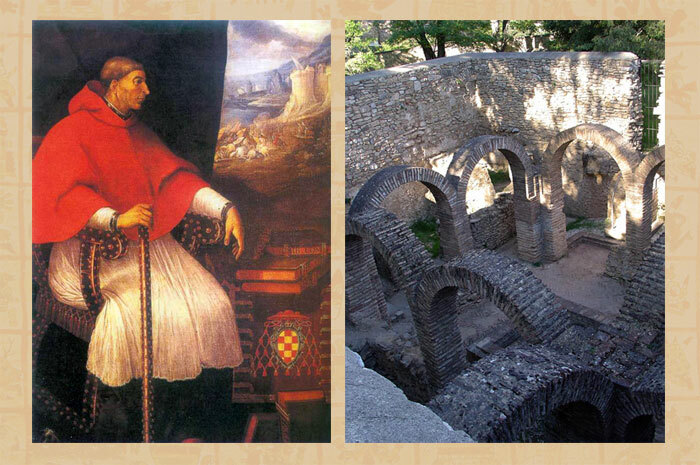 Cardinal Jiménez de Cisneros, himself a Franciscan - wrote Ford - persuaded King Ferdinand and Queen Isabella to close and abolish the Moorish baths after their conquest of Granada. They forbade not only the Christians but the Moors from using anything but holy water. Fire, not water, became the grand element of inquisitorial purification. Sure enough, one of the first things the Spaniards did during the Reconquest was to destroy the Moorish baths (just as the Visigoths had destroyed the Roman ones). Even after that, suspicions remained: Moors who converted to Christianity were forbidden to bathe. During the Inquisition, one of the worst things that could be said about Jews as well as Moors was that they were ‘known to bathe.’ As Richard Ford noted, these attitudes were still current in the 19th century. He tells the story of the Spanish Duke of Frias, who visited an English lady for a fortnight and ‘never once troubled his basins and jugs [on his washstand in his bedroom]; he simply rubbed his face occasionally with the white of an egg.’ This, Ford assures us, was the only ablution used by Spanish ladies in the time of Philip IV, and apparently it was good enough for the Duke. • Erna Paris, The End of Days: A Story of Tolerance, Tyranny, and the expulsion of the Jews from Spain (Lester, 1995). Do you know if the Aztecs painted their canoes? I’m trying to model one. Thank-you. Mexicolore replies: We’ve now answered this question, in the ‘Ask Us’ section of the site (left hand menu). The short answer appears to be ‘Yes’! 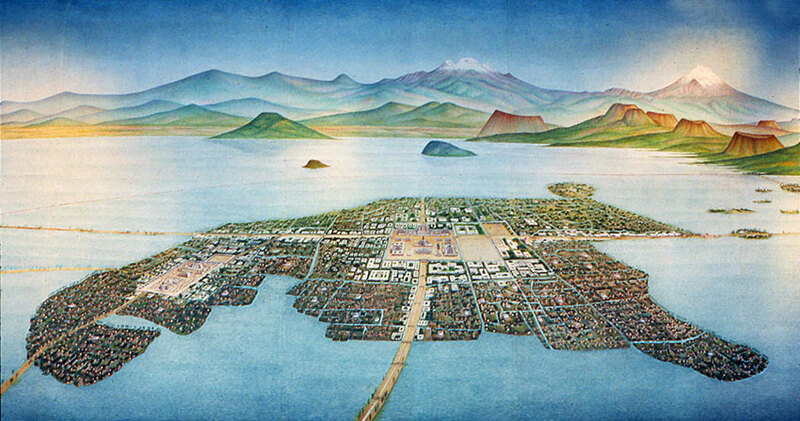 Mexicolore replies: We know that the Aztecs had no public drainage system in Tenochtitlan. On the other hand we also know that every public road had public toilets dotted along them, shielded from public view with reed matting - they were basically a hole dug in the ground - and that they collected human poo and used it as a fertilizer in their farming. Mexicolore replies: Yes, but where did you come from before that?! It’s an interesting and fair point to raise, but we understand most anthropologists today believe the first Americans arrived by canoe along the Pacific Coast long before the last Ice Age and the Bering Strait opening. The Pre-Clovis arrival has been proven. You guys are certainly very ancient! I’m MEXICAN, this site is WONDERFULL, I want to thanks to all people that make it possible. This information helps to have a rigth vission of the many cultures before the spaniards came. I was trying to find a place to leave a message about this marvelous site, and i guess i will leave it here.I live in Mexico and prehispanic culture is almost forgotten or neglected by the majority of people. Mexicolore is a stupendous site for all those that love mexican antiquities and wish to understand and dwell on them deeper. Thanks to u is not enough. Eternal gratitude to all that make Mexicolore possible. Seriously! Mexicolore replies: MANY thanks for such uplifting words. Believe us, it’s feedback and encouragement like yours that keep us going - we mean it! 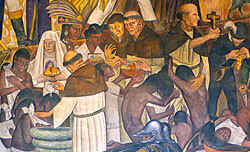 That would explain the misconception the Spainards had about being treated like Gods, it was not because they were Gods the Tenocha burned incense (as is the custom in the Catholc church) around them, it was because they must have been pretty ripe after a few sweaty months in the tropics. 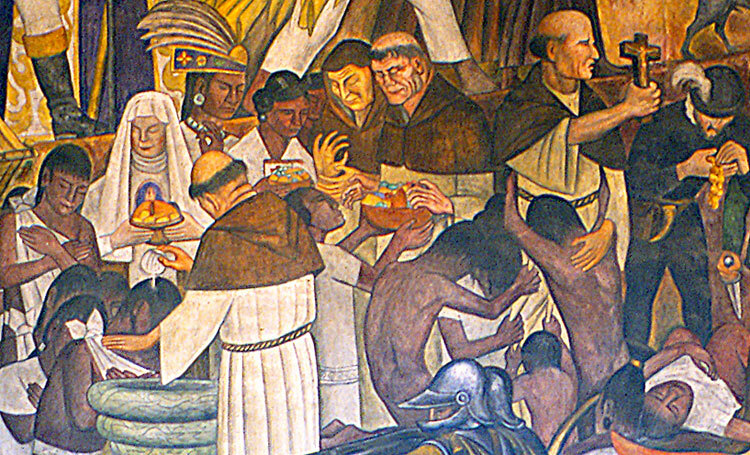 Of course, these were “extraordinary” life circumstances but if we remember that wars were frequent in Prehispanic times... Also this prohibition of any hygienic procedures was obligatory for those priests, who were supposed to be in direct contact with gods. My, what a lovely article. 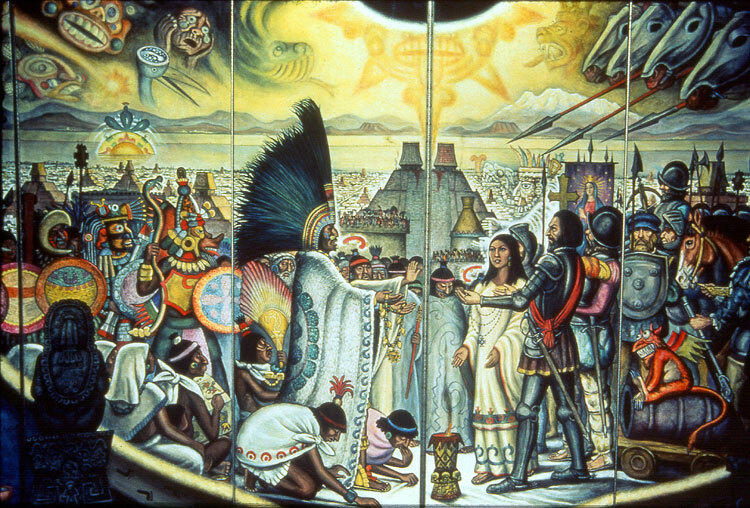 For centuries after the recomiendas were smashed by Mexico’s cheating power hungry Spaniards Mexico’s history was rewritten by them to demoralize and steal the soul from the people who worked hard to make peace, who tried to share in the beauty of their cities and land. May the creator bless you! Mexicolore replies: We’re not sure what you mean by ‘recomiendas’ (sounds like ‘encomiendas’ but these were themselves colonial arrangements forced onto the local population...) but many thanks for the kind comments! Dear sir, I have just finalized my new book on diseases transmitted and caused by arthropods, in Portuguese, with 35 chapters. Each chapter has a small figure under its number. The only chapter still without such illustration is the one on the influence of human behaviour on disease occurrence. I would greatly appreciate if you could authorize the utilization of "Pic 5: Washing hair; Florentine Codex, Book 2" for this. If you authorize this utilization, this would be recognized in the Acknowledgements section. I doubt there would be a way to the editor paying for this utilization. Sincerely yours Prof. dr. Carlos Brisola Marcondes Universidade Federal de Santa Catarina Florianópolis (SC) Brasil. 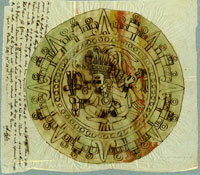 Mexicolore replies: Usually we tell picture researchers that we cannot give authorisation to reproduce images that we have scanned from codices, since legally we are not the original copyright-holders (even though the scans are ours), but in these circumstances I cannot believe anyone would place an obstacle in your path. Please accept our authorisation in good faith for this specific use!